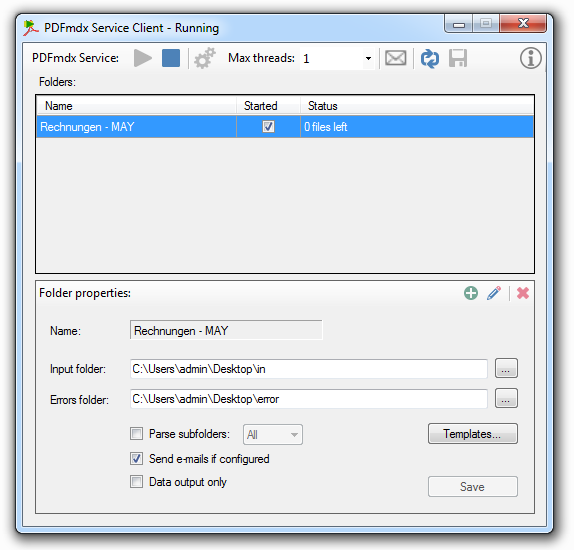 With the eDocPrintPro ZUGFeRD printer driver it is easily possible to embed a XML file with the invoice information to the via print process created PDF/A-3. To further process the XML-file at another place, it has to be extracted from the PDF container. To make this possible we offer a free commandline tool. Passing the path of the ZUGFeRD PDF file as parameter, the ZUGFeRD XML found in the PDF gets extracted and saved with the same name and path as the PDF. If it occurs that with the iPaper action “AutoPrint” the printout is moved a little to the right and down and therefor not the whole document is printed on the paper, this is a quite easy problem to solve. There are printers which are able to print to the edge of the paper. With that the print-origin (0,0 – coordinate) is located exactly at the top-left corner of the paper. Many or nearly all office or laser printers however have an about 5mm big not printable area all around the paper. With this printers the print-origin isn’t located at the top-left corner but about 5 x 5 mm right under it. 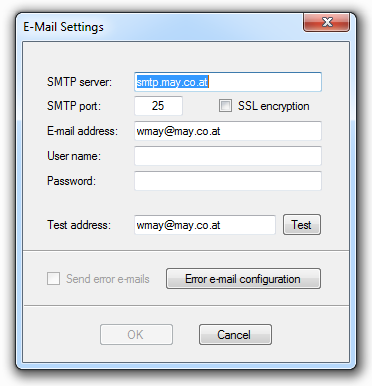 To, depending on the type of the printer, print the site correctly and in scale there is an option to control the print-origin. 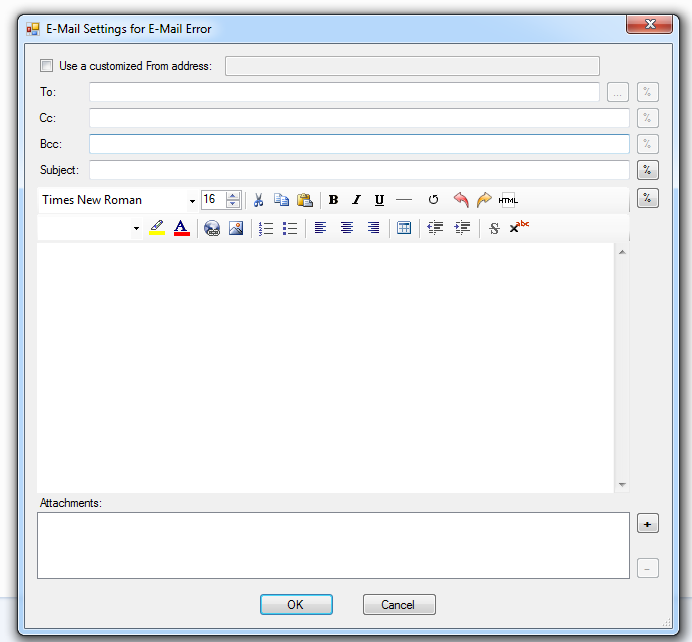 If this parameter isn’t set correctly there will be an offset and the top-left border is incorrect. 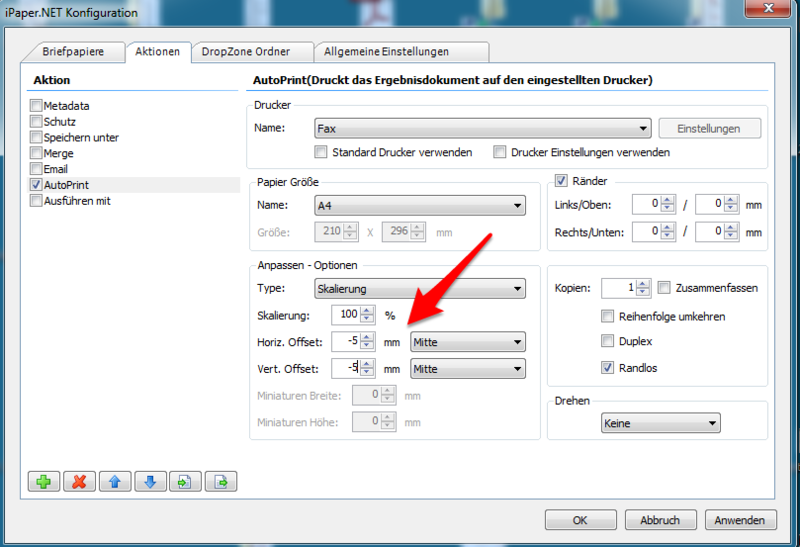 The Option “Borderless” has to be activated on printers with not printable margins. If it isn’t activated the printout will be moved to the right and down and eventually cut off on the right side and the bottom. If a printer is able to print to the edge the option has to be deactivated. 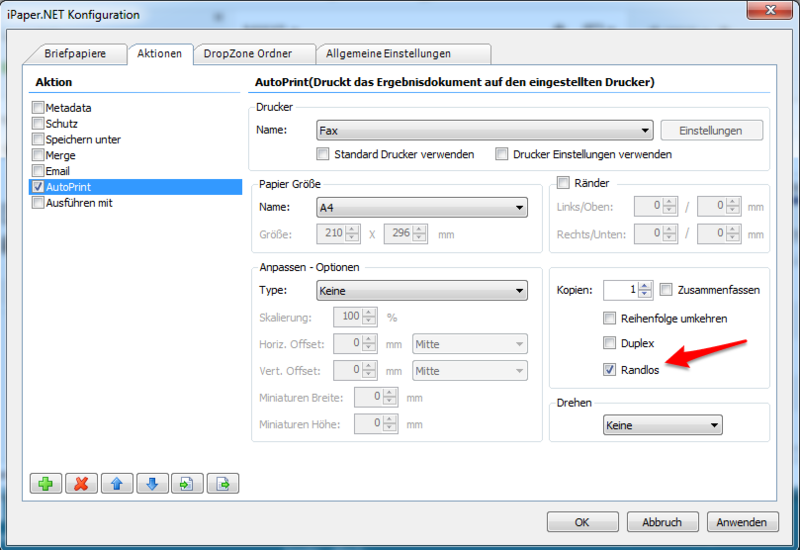 Additionally there is an update (DLL) – it will be included in the next iPaper Version – with the possibility to declare an negative offset for the position of the printout on the paper. With this the printout can be moved to the left or up independent of the “Borderless” option. 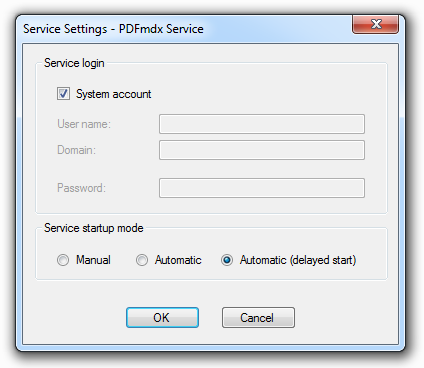 With the PDFmdx version 1.5.0 additionally there is the possibility to run the folder-processing via Windows service. 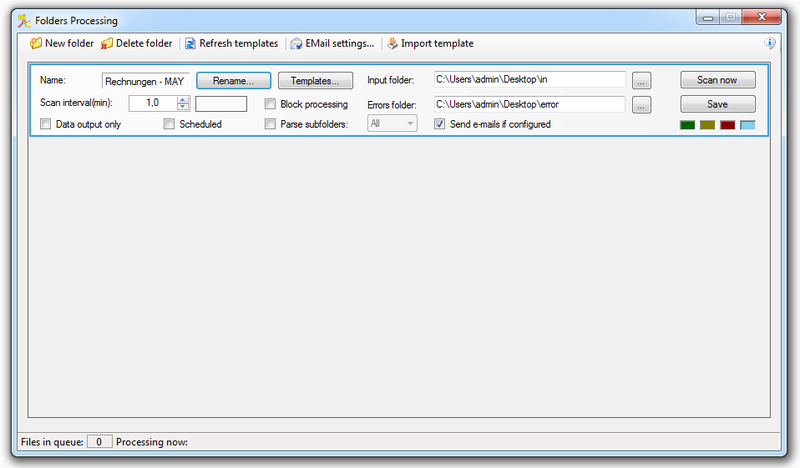 The previous Windows application can furthermore be used to e.g. run processing singulary via “Scan now”.